No, Chromebooks aren't just cheap laptops — we compare the best from Google, Samsung, Asus, Dell, and more to help you find the perfect all-web partner. A Chromebook works differently than a Windows10 laptop or a macOS laptop. 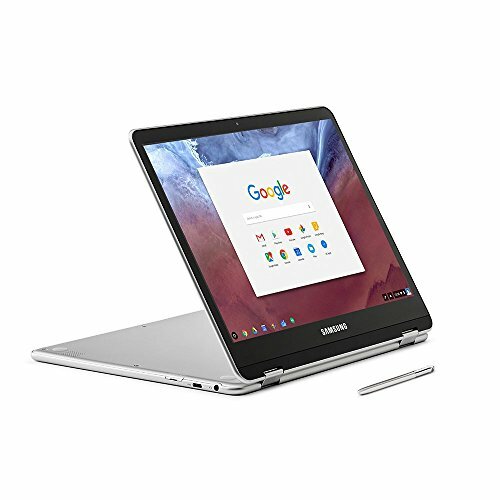 Chromebooks use Google’s Chrome OS and offer their primary functionality while they’re connected to the Internet as most of its applications and documents are available on the cloud. If you already spend most of your time on a Chrome browser, then a Chromebook will be natural for you to use. Chromebooks are particularly useful for students as they are simple and secure to use. If you wish to use a Chromebook for office, Pixelbook might be your answer. The best Chromebooks offer a great battery life at comfortable pricing. While these Chromebooks may not integrate the latest processors (except the Google Pixel Slate), these machines are getting faster every day. However, Chromebooks have restraints so as to what their web browser can do. While Chromebooks may not be your answer if you have intensive gaming and media editing needs, they are your answer if you require word processing, video streaming or emailing clients. Let’s have a look at 10 of the best Chromebooks available in the market. The $999 Google Pixelbook came with many questions. Who would want to buy it? Is it of any competition to Windows convertibles or MacBooks? Would a laptop mainly running Chrome Browser be worth buying? You will find the answer to all of the questions above in one simple question: What do you wish to achieve using your computer? For some it may be video editing, for others it could be using word processors or excel sheets and your requirements shall determine the best laptop for you. Let’s first talk about the Chromebook’s hardware. The Pixelbook is a high-resolution aluminum laptop that can be flipped to turn it into a touchscreen tablet. It weighs just over two and a half pounds and is under half-inch thick. Its thin keyboard is not only properly backlit- a feature that is rarely found in Chromebooks, but it was also better to use than that of Macbook and Surface Pro. The palm-rests are made from silicon to avoid them from getting yellow over time. Pixelbook comes with 8GB of RAM and a seventh-generation Intel Core i5 processor. The processor makes the Chromebook experience extremely smooth, and its sufficient RAM lets you work on several tabs and windows while you’re using it. The Chromebook did not only have a high performance, but I also did not find it heating up. Even though Google promises a 10-hour battery life, I wasn’t able to hit that, and it is not likely to be trusted past 8-hours. All in all, just like iPad Pro, this Chromebook is a smartly designed powerful machine capable of handling most of your computing tasks. Samsung Chromebook Pro is identical to Chromebook Plus in terms of functionality and aesthetics. However, the Pro is equipped with the more powerful Intel Core m3 processor while the Plus is built in with the ARM processor. This Samsung Chromebook offers high-end design features. Despite being made from metal, the laptop weighs 2.38 lb and has a thickness of just 13.9 mm. And if you wish to carry your Chromebook around with you, its size and weight will make it easy for you to carry it. It is understandable that Samsung was faced with size limitations when designing the keyboard, however, the keyboard allows travel and its chicklet-styled keys are fun to use. Its trackpad also works well; however, I do wish it had the “pinch to zoom” feature. Chromebook Pro offers a 3:2 aspect ratio for its 12.3-inch LED screen and a Quad HD resolution of 2400 X 1600. The coolest feature of its display is perhaps its ability to rotate 360 degrees off its hinge. This allows the laptop to be placed in a tent position to watch videos on it with ease. Chromebook comes with a 4GB RAM, and while I had several tabs open, the Chromebook did not stutter. 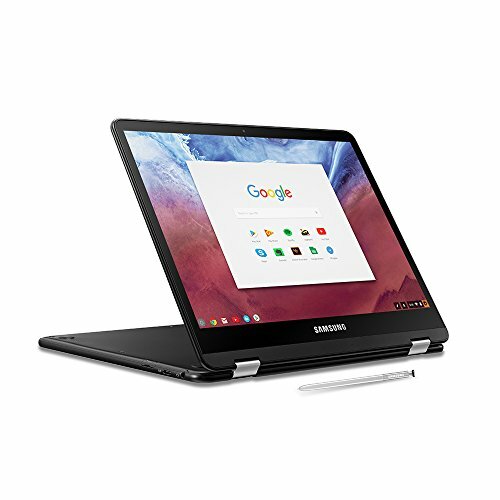 While the Chromebook laptop offers excellent performance and great screen, this Samsung Chromebook priced at $549.00 does not offer a back-lit keyboard and has a limited Android App support. Chromebook x2 keyboard can be detached to be used as a tablet. This will save you from carrying the extra weight of the keyboard if you wish to use the Chromebook touchscreen tablet. The laptop weighs 3.07lbs, and 1.62lbs without the keyboard. The display is a 12.3-inch screen with a 2400 x 1600-pixel resolution. The tablet, however, is thicker than what you would like it to be, especially when compared to an iPad. Its battery life is pleasing with HP claiming it to last for 10 hours however, I wasn’t able to hit that duration. But if this HP Chromebook is used for basic stuff, it may last through the day. The HP Chromebook comes with a 32GB storage and 4GB RAM. The biggest problem with this $599.99 Chromebook is that it performs well with a few web apps and tabs open, however, when I pushed to the load to more than ten tabs, the Chromebook slowed down. The Chromebook is a bit pricey for the features it offers. By just spending a $100 or $200 more, you can buy a much better laptop such as the Pixelbook. If you are in search of a Chromebook with solid Chrome OS, then the Samsung Pro would be a better choice for you. Its specs are almost the same as x2, while it weighs less than it. But x2 offers more than just a hard-core Chrome OS laptop, it is a convertible. Samsung Chromebook Plus would prove to be an excellent choice for you if Android Apps are a necessity for you. The Chromebook comes built in with the ARM-based processor-OP1, and while it is true that the ARM processor causes Chromebooks to slow down, this is not the case with Samsung Chromebook Plus. The laptop is thin and light and is excellent in terms of performance. Its performance stands out when compared to any ARM-based Chromebook, except it is not as fast as C302. The ARM processor ensures a better experience while playing games, and it is less likely to stutter during it. Chromebook Plus lacks a back-lit keyboard, but it does offer a stylus. And if you are a book-lover like me, this feature will excite you: while reading a book on kindle I wanted to capture a quote , and as I took out my stylus I was greeted with the “Capture Screen” option, then I tapped on the “Annotate in Google Keep” option to jot down few points before going back treading it. While the Chromebook Plus may have a higher rating score, the C302 is recommended for most people. Its higher score pertains to its Android App abilities and excellent performance at a slightly cheaper price of $424.00(Amazon). The Samsung Chromebook Plus has a built-in 32GB of storage and it certainly bundles up more features than the usual Chromebooks. Chromebook 13 is a slim, all-metal laptop that will catch your eye when kept among other Chromebooks. Most Google laptops can be found just under $350, but if you are looking for an experience a bit more upscale, then Chrome 13 is your answer. This $499 HP Chromebook laptop provides a midpoint between the $1000 Pixelbook and the $350 laptops. 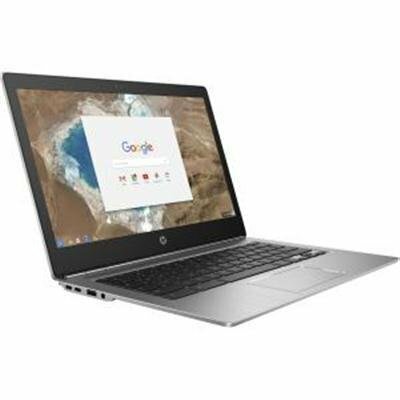 This 13.3-inch HP Chromebook has a great display of resolution 3200 X 1800 that is even good to use in the bright sunlight. It is thin and light which makes it highly portable and its speakers come with a good sound quality. Given its size, it includes a full-size keyboard that feels nice to use. The machine is equipped with 16GB RAM and an Intel Core M Skylake processor. It includes USB 2.0 ports as well as 2 USB-C ports, a headphone jack, and a micro SD card slot. Although the Chromebook laptop does seem durable, it’s durability is not comparable to MacBook. The brushed metal effect is, in fact, an attempt to add to the laptop’s appeal, however, it is rough at the bottom of the Chromebook and I found it irritating to a holt. However, the fact remains, that the Chromebook is cheaply priced for a machine that is as nicely built. Asus Chromebook Flip has set a standard for all Chromebooks. The Chromebook laptop offers a good hardware coupled with a good screen display and high-end performance. It is equipped with a back-lit keyboard, a feature much desired by many users and a good battery life. It has a fast Intel processor and offers support for Android Apps. All in all, The Asus Chromebook Flip hits all the desired benchmark features a user would desire in their Chromebook. The only questionable feature of this Asus Chromebook is its price. It is priced at $500 on Amazon. However, saving a few hundred dollars to buy a cheaper Chromebook will lead you to compromise on the features this Asus Chromebook offers, the most inevitable of which is performance. I found that the Asus Chromebook Flip runs smoothly even with more than a dozen tabs open, even though most Chromebooks are likely to stutter with as few as eight tabs open. The Chromebook Flip also offers support for Android Apps making it future-proof, with the added feature of being flipped into a tablet, for watching videos with ease, through the Chromebook touchscreen. It is priced at $469 and offers excellent features for its price, however, the Chromebook Pro does have a slightly better look and comes with a stylus. However, the Chromebook Pro lacks a backlit keyboard. The Spin 15, is the world’s first large screened, two in one Chromebook. It has a display of 15-inch and it can be converted to a tablet, with Chromebook touchscreen to watch videos on. Or you can also continue to use it as a laptop to type up excel sheets, as per your requirement. The Spin has a full HD screen, surrounded with wide bezels that we are not too happy with. The screen is highly reflective, which made it a bit hard to use when watching YouTube videos, especially when the videos played scenes with a darker video. Its keyboard is like those found in other Chromebooks, however, their touch is soft, leaving room for doubt so as to if the button has been pressed or not. The keyboard is also equipped with two speakers on each side of it, with a surprisingly good sound quality. However, when the laptop is flipped to turn it to tablet mode, the volume decreases as the speakers fire away from the user. The pricing of this Acer Chromebook starts at $499. The laptop offers a 14 hours of battery life. It also offers good performance and does not stutter while launching apps or operating multiple tabs. The Spin is an excellent choice, placed at a comfortable price for anyone who loves to spend time watching YouTube Videos or Netflix, provided they choose the correct lighting for it. Before the launch of Chromebook 15, the users had to pay $400 to $600, for 11 or 12-inch laptop models. 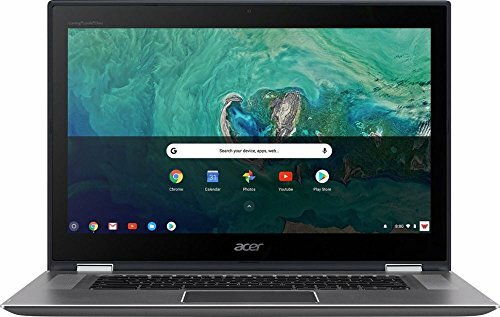 This changed with the launch of Acer Chromebook 15 that offers a 15.6-inch screen display for $249. 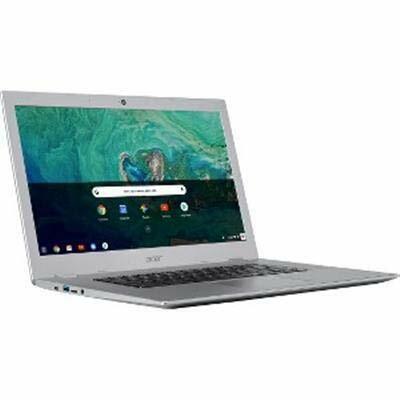 However, the low starting price of this Acer Chromebook can be justified by its low-resolution screen display of 1366 X 768 pixels, 2GB RAM and 16GB storage. The $349.99 model of this Chromebook is equipped with a 1080p display, 4GB of RAM, and 32GB of storage. It is built in with the dual-core Intel Celeron processor. Acer’s Chromebook 15 weighs around 5 pounds and is, in fact, heavier than the MacBook Pro. However, it would prove to be an excellent choice if you intend on leaving your Chromebook on the desk for the most part of the day. The Acer Chromebook comes with a full-sized keyboard that is fun to type on as well as a spacious trackpad that is a joy to use. The only thing that the keyboard lacks is perhaps back-lighting. It also has two loudspeakers on both ends of the Chromebook, a USB 3.0 port, and a USB 2.0 port. Even though this Chromebook is bigger in size than all Chromebooks, its bigger size does not parallel with the experience it provides. There are other Chromebooks available in the market, with Intel processors, and high-resolution screens that can rival with Windows and Apple laptops. Lenovo is the world’s largest PC maker, and it began its launch of Chromebooks in 2014. One of its most popular Chromebook is the ThinkPad 13. This Lenovo Chromebook offers two models, the Chrome OS model and the Windows 10 model and the two models aren’t identical. Both models have the same internals, however, their keyboards and ports vary significantly. The models are built in with Core i5 processors. The Windows model is equipped with 16GB RAM and 512GB storage space, however, the Chrome OS model has 8GB RAM and 32GB storage space. The Windows model comes with the red TrackPoint pointing stick, however, this has been omitted in the Chrome OS version. Lenovo stated the reason for its omission to be the strict set of hardware rules that Google follows when designing its Chromebooks. 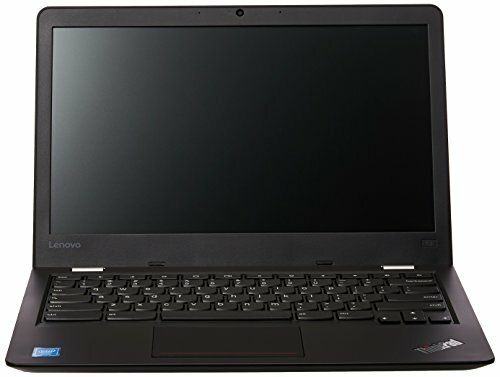 Another difference between the two models of the Lenovo Chromebook is that the Windows model contains three USB ports and a USB Type-C connector. The Chrome OS version on the hand includes two USB ports and two USB Type-C ports. The two laptops also differ in price. The Windows model was priced at $449 when it was launched, while the Chrome OS model was priced at $399. At $399 the laptop is competitively priced for the features it offers and though it may not offer specs as great as the Chrome Pixel, but it is still one of the Chromebooks that stand out. The Acer Chromebook R13 is known to be the world’s first MediaTek Chromebook. The cost of the laptop is around £400. The laptop is surely a cheap and a cheerful device that will handle all basic functions for you. This Chromebook is for you, if you are eager to run the Android Software. It has a 13.3-inch touch display and a welcome resolution of 1920×1080. It has a 16:9 aspect ratio which makes the photos and other content look great on high-brightness. The processor is a fanless quad-core MediaTek M8173C whereas the graphics are taken care by an Imagination PowerVR GX6250 GPU and is excellent for playing games. It has a built-in RAM of 4GB on-board, but you can also utilize up to 64GB flash storage. 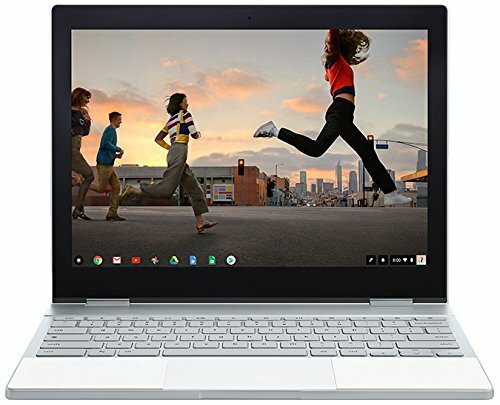 The Chromebook offers a battery life of up to 12 hours which is more than that offered by most Chromebooks such as the Chromebook x2 and Pixelbook. The Chromebook is ideal for students but be careful as it isn’t a powerful device. 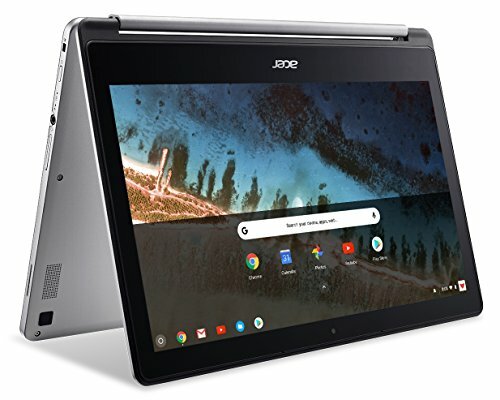 The design of the Chromebook is very similar to the design of other Chromebooks that is a skinny, lightweight plastic frame with metal accents. Both the top and the underside of the Chromebook R13 have a metal finish giving it a savvy look. What To Know Before buying a Chromebook? You’ve set your mind on buying a Chromebook. Now all you need to know is, which one shall be the best pick for you, and we’re here to help! You will find that most Chromebooks lie on the affordable spectrum of pricing. It is likely that you will spend less buying a Chromebook than you will if you buy a Windows 10 notebook. In order to choose the right priced Chromebook for yourself, you need to understand your needs. We would rate the Google Pixelbook, priced at $999 as the best to meet your business needs. If you’re a student at the school and need a Chromebook suited for your needs, the best Chromebook for you would be the rugged Asus Chromebook Flip 101, priced under $300. The overall best Chromebook, keeping in mind all sort of criteria is the Asus Chromebook Flip C302. Its price hovers around $500, and it hits all the benchmarks of a good laptop. Chromebook laptops were originally optimized for Google Apps such as Gmail and Google Drive. However, Chromebooks are now integrating Android Apps, but only a few Chromebooks have access to the Google Play Store as of now and the Chrome OS does not support all Android Games. Android Capable Chromebooks include: Samsung Chromebook Plus, Asus Chromebook Flip, HP Chromebook x2, Dell Chromebook 3189 and Google’s own Pixelbook. Another thing to keep in mind while you search for the perfect Chromebook laptop for yourself is that, all Chromebooks do not offer the Microsoft Office Suite or the Adobe Photoshop. However, the Android version of Office will soon be accessible to Chromebooks with access to Google Play Store. You can also use the Microsoft Office online via the Chrome Browser. And if you have many office files that shall be transferred to your new Chromebook, it is best to stick to Office Online or Office Android Apps. Google Drive also offers you to save documents on Microsoft formats which means you can share your files with non-Chromebook users with ease. While buying a Chromebook, you need to keep in mind that their operation heavily relies on a connection to the Internet. Many of its apps will simply not be available to you for use, if your Chromebook does not lie in rang for the Wi-Fi. However, there are more than 200 offline Chrome apps that do not require connection to the Internet, with several offline Android Apps soon to be launched. Exceptional battery life is typical for Chromebooks, except the recent release are not so releasing in terms of it with an average of 9 hours and 15 minutes. The Acer Chromebook R13, stands to be an exception with a battery life of 11 hours. Google’s own Pixelbook, offers a rather disappointing battery life of 7 hours and 43 minutes. It is recommended that you choose your Chromebook that offers at least 9 hours of Battery Life. Chromebooks for work have especially been designed to be rugged enough to withstand minor disasters. Acer Chromebook 14 for Work and ThinkPad13 Chromebook have both been designed such that they have passed the MIL-STD-810G test used to test US Military equipment. Durable Chromebooks are a good option for adults as well as kids. Chromebooks offer models with 2GB RAM and 4GB RAM. And while the difference in RAM comes with an extra price, the difference in price is worth the extra dollars. A machine’s processor determines its performance. Many Chromebooks are found with the Intel Celeron Chips that provide an acceptable speed. 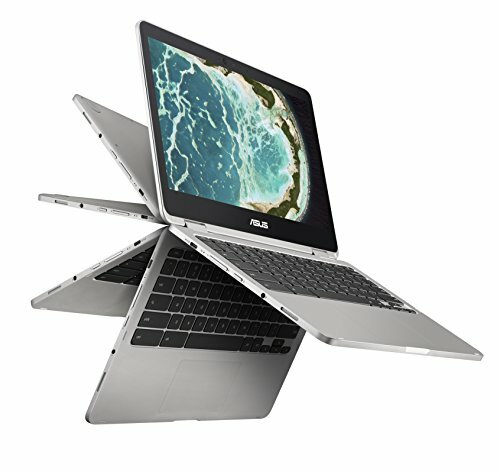 Certain Chromebooks such as the Asus Chromebook Flip C302CA and Samsung Chromebook Pro have the Intel Core processors. This however, makes the machines more expensive. If you require your Chromebook to run Android Apps, you should consider Chromebooks with Core i5 and Core i7 processors, that shall prove to be the fastest Chromebook for your use. Most Chromebooks come equipped with 16GB of storage. 16GB of storage is enough for use as of now, however once Android Apps will become available, the SD card slot can be used to increase storage space up to 64GB. You should root for a 32GB model, if you intend on using Android Apps. When choosing your Chromebook, keep in mind that the size of the screen is not the only thing you should be looking for. If you require to only read and write on your laptop, a low-resolution Chromebook shall fulfill your needs. However, a high-resolution laptop will be required by you if you intend on using it for video streaming etc. Chromebooks are also available in the touchscreen. 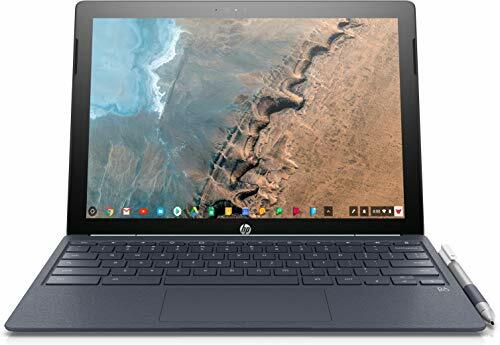 While some can be bent into a tablet, such as the Acer Chromebook 11, others can also be detached to be used as a tablet, such as the HP Chromebook x2. Chromebook reviews show that they have become increasingly popular and few years after the launch of Chromebooks, it had more than 25 million users and they are continuing to grow. The bottom line is that Chromebooks offer a decent performance at a fair price and with greater support for Android apps they are becoming increasing popular. All in all, you need to take a closer look at your needs and then find the best Chromebook for yourself that shall offer the perfect balance of specs and pricing.